Phoenix Contact Canada and Rittal Systems Ltd. have been recognized as two of this year’s Best Workplaces™ in Canada. The 2018 Best Workplaces in Canada list is compiled by Great Place to Work® Institute Canada. The competition process is based on two criteria: two-thirds of the total score comes from confidential employee survey results; the remaining one-third of the score comes from an in-depth review of the organization’s culture, including an evaluation of HR policies and procedures. “We congratulate all our employees who consistently contribute in creating our great workplace,” said Phoenix Contact General Manager Kevin McKenna. 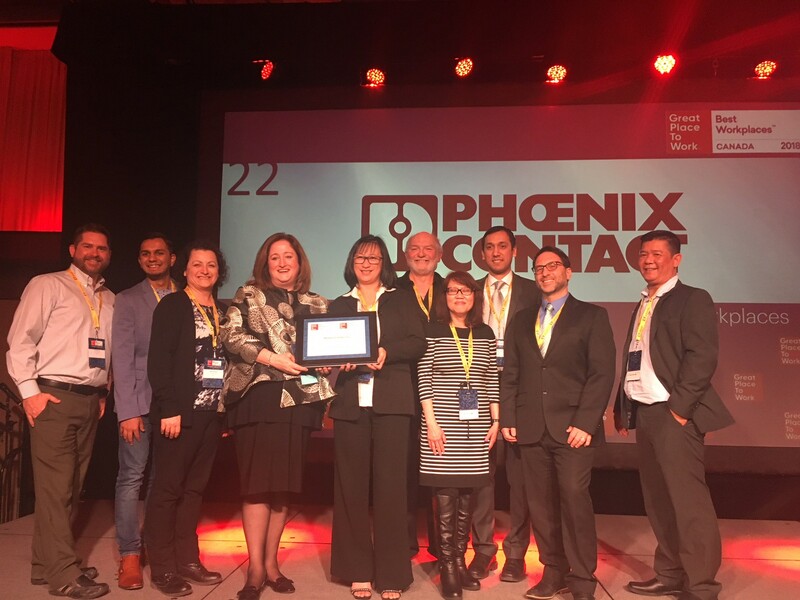 For Phoenix Contact, it is the fifth time the company has won this achievement, placing twenty-second on the list of companies who have received this accolade. “Rittal is committed to ensuring that employees and partners are well trained and equipped to carry out our customer philosophy, ‘We enjoy satisfying customers’ wishes and challenges with innovative solutions,’” states a press release from Rittal. “Rittal sees ourselves as a pacesetter – here to help achieve better results faster, in an efficient, timely and innovative manner, by working together as a well-trained, expert team to provide customers with the excellence and high standards they deserve.” This year’s list received over 400 registrations and over 80,000 employees participated in the 2018 “Best Workplaces™ in Canada” survey, rolling out to impact over 300,000 Canadian employees. 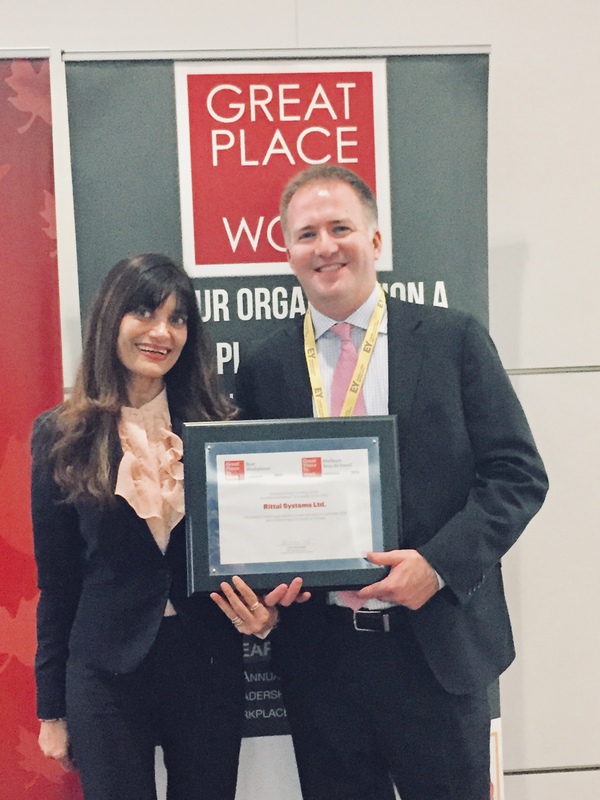 Great Place to Work® is a research and consulting firm whose mission is to build a better society by helping companies transform their workplaces. Great Place to Work® provides the benchmarks, framework, and expertise needed to create, sustain, and recognize outstanding workplace cultures.